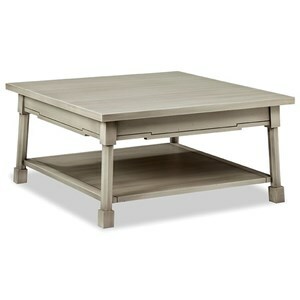 Bring a warm, cottage-style look to your decor with this cocktail table. 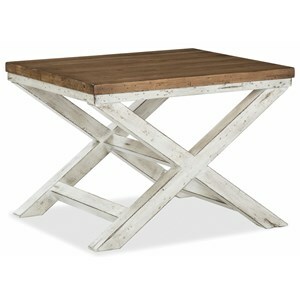 This piece features chic, clean lines in its block feet and the geometric design beneath its top. Plus, it has a soft close drawer with a metal knob and a built-in bottom shelf for extra storage. 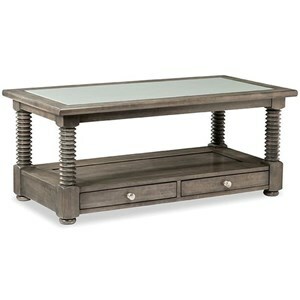 The glass top is available in clear, charcoal, or ice as well, and the hardware and finish can also be customized. 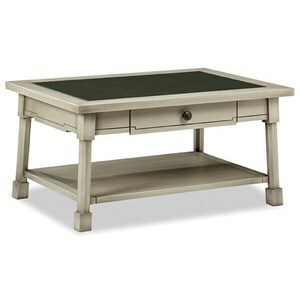 The Solid Accents - Classic Foundry Cottage Style 1 Drawer Cocktail Table with Glass Top by Durham at Stuckey Furniture in the Mt. Pleasant and Stuckey, South Carolina area. Product availability may vary. Contact us for the most current availability on this product. Case Detail Rectangular block feet. 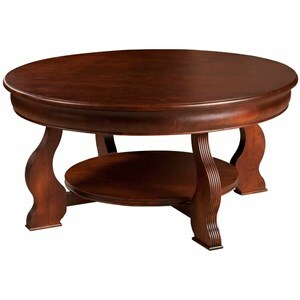 Warm up your living room's decor with this collection of occasional tables. 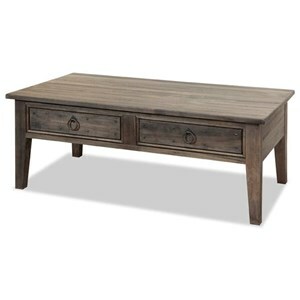 These pieces are built from solid maple wood with natural distressing and worm holes for a rustic feel. 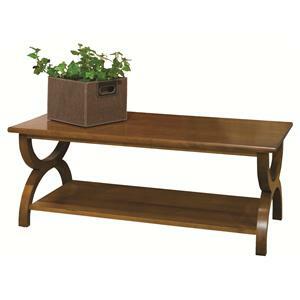 Plus, they all feature added storage in their bases to keep them as functional as they are durable and stylish. The Solid Accents - Classic Foundry collection is a great option if you are looking for Cottage furniture in the Mt. Pleasant and Stuckey, South Carolina area. 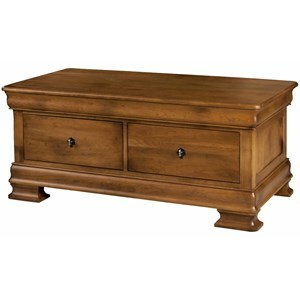 Browse other items in the Solid Accents - Classic Foundry collection from Stuckey Furniture in the Mt. Pleasant and Stuckey, South Carolina area.